Only a few feet from the intersection of Washington Avenue and Sawyer is Glenwood Cemetery, 84 acres of history, serenity, and beauty (natural as well as man-made). Glenwood Cemetery is an open history museum. You can learn a lot just by strolling its grounds. Family enclosures provide genealogy information. Since it was established in 1871, Glenwood Cemetery has been recognized as one of Houston’s special landmarks. Enclosed within Glenwood’s confines is a priceless collection of Victorian statuary that is available for all to enjoy. Glenwood’s horticultural specimens rival those of many arboretums, and its gently rolling landscape, unique in Houston, provides a place for quiet refuge and peaceful meditation amid inspiring natural beauty. Designed in the tradition of other romantic rural cemetery parks of the 19th century, Glenwood’s beautiful landscape and towering trees provide the visitor a place of quiet respite just one mile west of downtown Houston. Glenwood’s collection of statuary and monuments are reminders of Houston’s history and the people who shaped it. Among those buried at Glenwood are the last President of the Republic of Texas, four Governors, and more than 20 Houston Mayors, along with founders of major oil companies, religious and professional leaders, and celebrities of their eras such as Howard Hughes and movie star Gene Tierney (known in later life as Gene Tierney Lee). Countless gravestones in Glenwood Cemetery, tell stories in a few words (lacking details that you know are painful. This gravestone memorializes the short lives of little brothers, laid to rest in the same grave. The little boys died together in a fire. 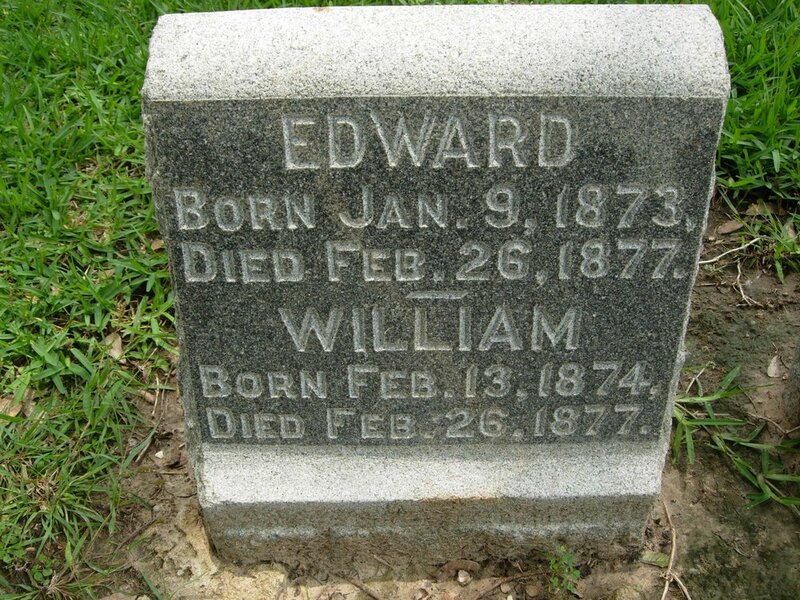 Later that same year (1877) in December, the family lost a baby girl who died at eight months of age. The cemetery gates are open every day from 7 a.m. until 5 p.m. When Daylight Saving Time is in effect, the gate closing is extended to sunset or 5:30 p.m., whichever is earlier. The cemetery is protected by security guards, and no visitors are permitted when the gates are closed.